The model, if successful, will be implemented in various local trains across the country, a senior railway official said. 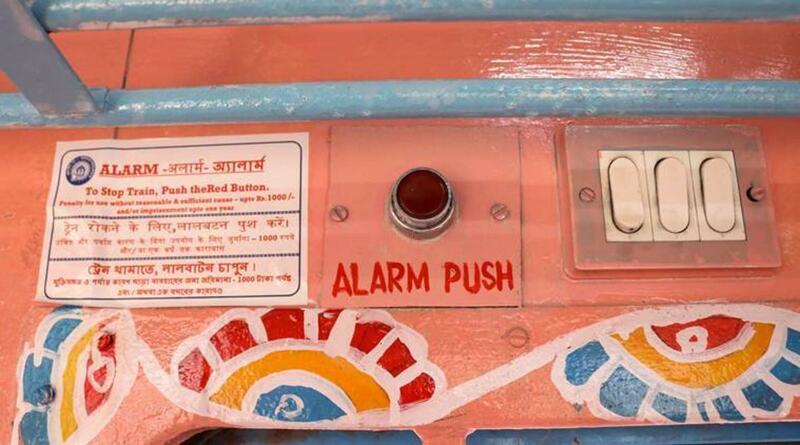 With an aim to enhance security measures for women passengers in trains, Eastern Railways’s Sealdah division is set to roll out the country’s first local train with a panic button and an electrical alarm system from West Bengal’s Ranaghat EMU Carshed. The local train, with the country’s first security system, is awaiting approval from authorities for operations with the latest installations. 12-coach train will consist of a panic button, an electrical alarm system, CCTV cameras and an electrical display board for the convenience of passengers. Read in Bangla. However, Rai said, a panic button is not sufficient to ensure the safety of female passengers on board. “An electrical alarm system has also been installed on the train,” he said. “In case of an emergency on a train, passengers usually pull the chain to bring it to a stop. Sometimes, this doesn’t work. In this case (under the new alarm system), the message will be delivered to the train operator and guard on the alarm system. Officials will also halt the train if required,” Rai explained. Besides these, CCTV cameras have also been installed in the female compartments. “The cameras will provide live footage to officers concerned who can easily nab the miscreants,” the official said. An electrical display board on the train will also provide passengers with the required information. The model, if successful, will be implemented in various local trains across the country, the official said.